The first night it fell out, and he snored. He woke up, got it back in and no more snoring. He molded it to fit him, and wallah, SUCCESS!! He had slight jaw pain last night, but nothing bad he said. He also said he felt more refreshed in the morning from not snoring. So, for us both, it is a win-win situation. For the price, it was a gr8 deal! I’m doing the happy dance here! That is awesome, I will recommend to my auntie, she may benefit from it and get some sleep. HA! Do you have a king size? When we upgraded to ours about 5 years ago, it made soooo much difference, especially since Michael and I are tall people like you…long arms, long legs. Usually, with me being menopausal, I just need to make sure we’re at least touching toes. Cal King and fairly new. My parents got us a killer bed for my hip issues. How exactly does it work? Does it help to keep the mouth closed so they aren’t breathing through their mouth? My hubby is going in Feb to have his teeth pulled and dentures made. Oh, that sounded really cruel… but it wasn’t meant to be. I really have no clue how it works. Something about aligning the jaw properly or something. [[[carol]]] you can snore anytime you want to!! 1) My relaxed jaw now puts quite a bit of pressure on my front two teeth pulling them back. In my opinion, enough pressure that in a short while it could change the position of my teeth (same principal as braces). True, it warns not to use if your teeth or not healthy but people with braces have healthy teeth usually :). 2) When I allow my jaw muscles to really relax as though I probably would when in a deep sleep, my bottom teeth simply slip out of the mouthpiece. I suppose I could wrap some type of sling around my head to hold up my chin? I’m open to suggestions. I’ve not really been a snore’r but I’ve gained weight quickly because of a thyroid issue and the doc thinks the snoring is related. He said it might take a couple of months to get my thyroid regulated and my weight down to pre-snore stage. Help? all I can say is we got a new one after 6mos and we occasionally re-mold. Seems to be working thus far. Thanks for the awesome review on Snore Ex. 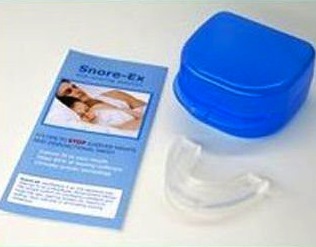 We were wondering if you could write a review on our website Stop Snoring Reviews in Regards to Snore-Ex? 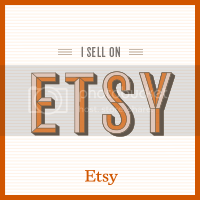 We are trying to find real reviews from people who actually have used and tried this product. Do make sure that anyone who snores is tested for apnea, which is extremely dangerous. Please do that even if the snore-ex works, because it might just hide apnea—I don’t know, but please make sure. Trust me, I’ve had apnea for a very long time, and I’m being successfully treated for it: making sure is vital, and it involves only a one-night in-lab observation. It can be treated very well with a CPAP machine that assures normal air flow, which apnea blocks. Please do it! Hi there… I ran across this page after searching for reviews on the Snore-Ex mouthpiece. I have not found what appear to be REAL reviews other than this site. Is this product still working for your partner? So far so good. We are on number two now. Every coupled of month we re-mold it. It is still working for us!